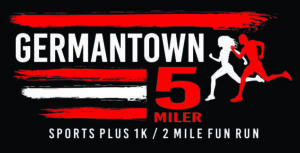 For the 5-miler, our sample training schedule linked below is designed with a Saturday long run. Adjust the schedule accordingly if you choose to participate in a long run/walk on a different day. The days of the week listed here are just for guidance. Run or walk on the days that best suit your schedule. Remember to start off running or walking at a comfortable pace, then increase the pace. Mixing in a combination of walking and running is a good way to build your endurance. Make sure you get a good pair of shoes. Don’t try to make do with shoes you bought five years ago and have been wearing for yard work. You will end up injured. Remember, the cushion in running shoes only lasts for 300 miles. Expect to feel a little soreness the first week or two. You may not have exercised much, and it will take a little while for you to adjust. If you feel more than general muscle soreness, back off! Don’t try to keep going through an injury, or pretty soon you won’t be running or walking at all! If you feel pain, rest and use ice. Try to talk to someone with some experience with running related injuries, or consult your doctor. If you have to take a break for injury or family commitments, don’t give up! If you miss a training day or two, just pick up where you left off. Rest is an important part of your training. If you would like to go for an easy walk on your rest days that is okay but don’t push it. Be realistic about your fatigue level and don’t feel guilty if you decide to take an additional day off. Remember that the rest days give your muscles a chance to rebuild and they are just as important as your actual training.